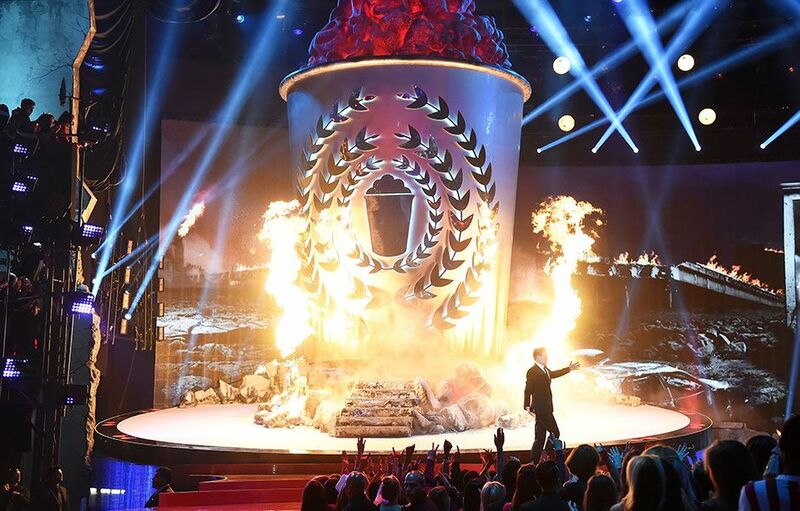 This is the first year the Movie Awards have ever had persistent pyrotechnics throughout the show. After rehearsals, Ellie Goulding and Zedd put their heads together to scheme up how they could make the performance even better. 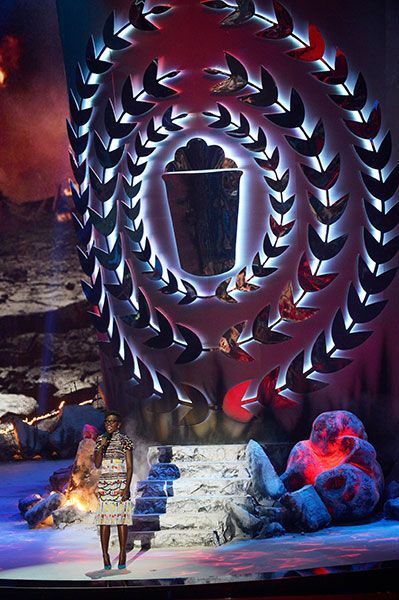 As a result, several stage adjustments were made to take things to the next level of awesome! 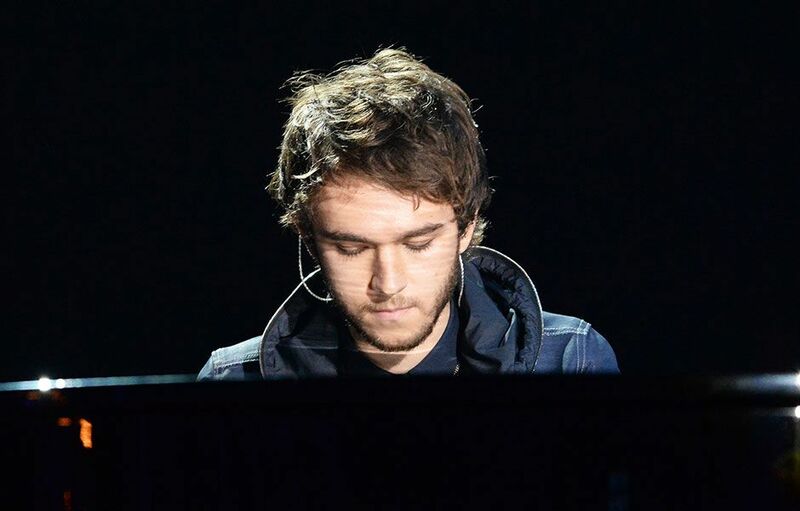 Zedd played with such intensity during rehearsals that he had to be reminded to keep his head up for TV! 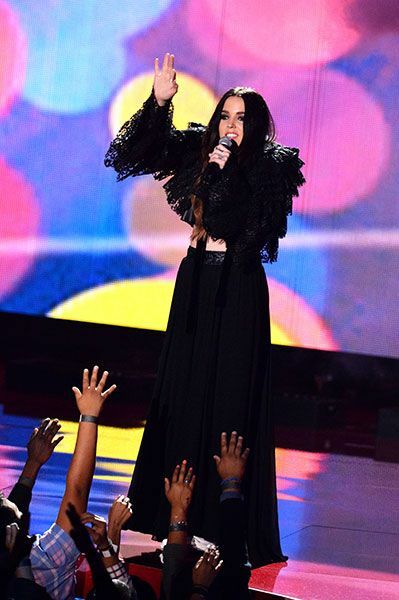 Miriam Bryant's wardrobe for her performance with Zedd was fully inspired by 'Divergent'. 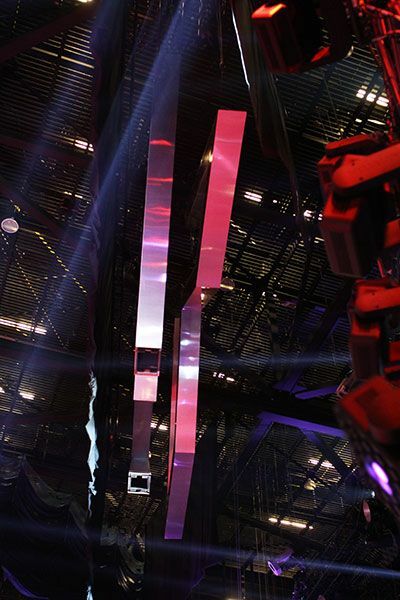 The 'X' that dominated the stage for Ellen Page's appearance collapses into two pieces and was dropped from the rafters above. 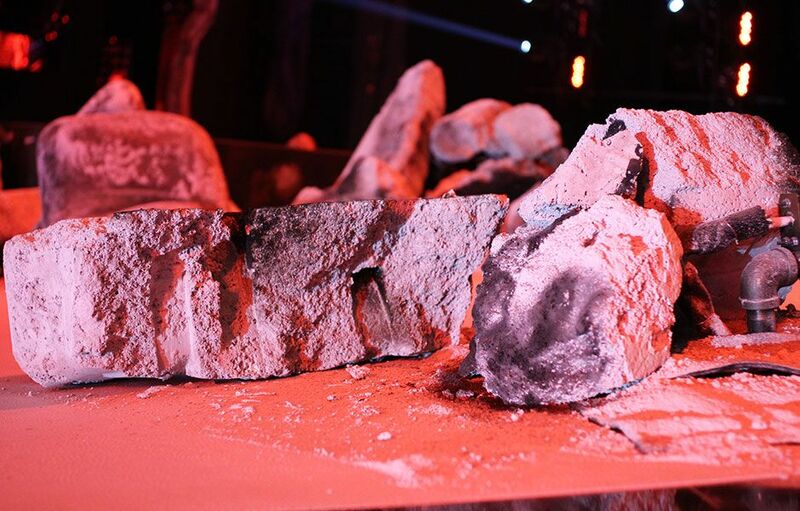 The amazing set team crafted rubble with an added ingredient called Pyrosil, which allowed it to be constantly exposed to flame without catching fire. 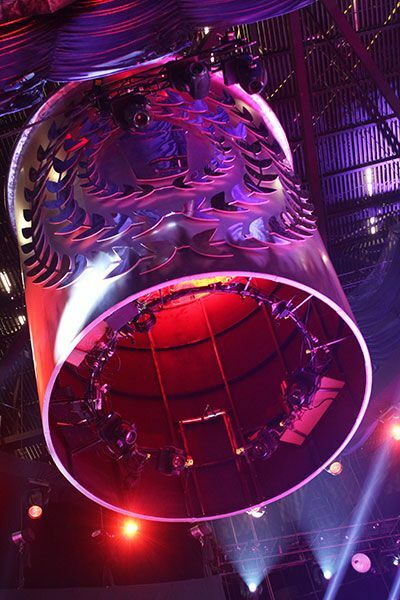 The flying popcorn's built-in pyro included four "dragon heads" that THREW FIREBALLS. Hi, haterz. 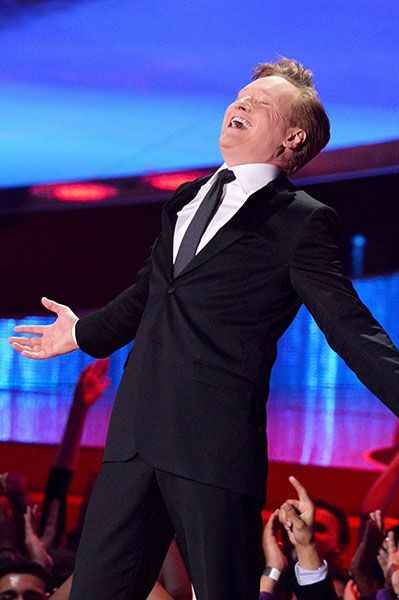 Conan rehearsed his monologue with many more jokes than ended up in the live show, to see which jokes would land. 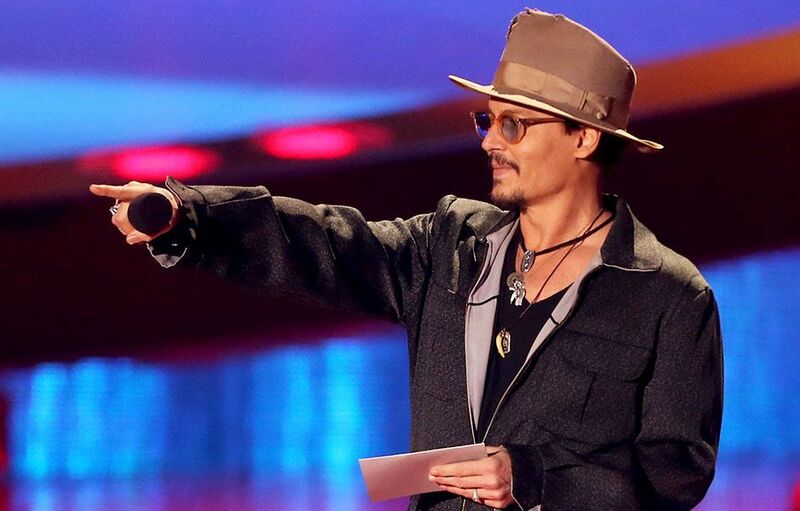 When Conan rehearsed his Johnny Depp intro, he deadpanned, "ok - at what point do we meet and hug?" Ellie's dress was also inspired by 'Divergent,' and she was barefoot on stage! 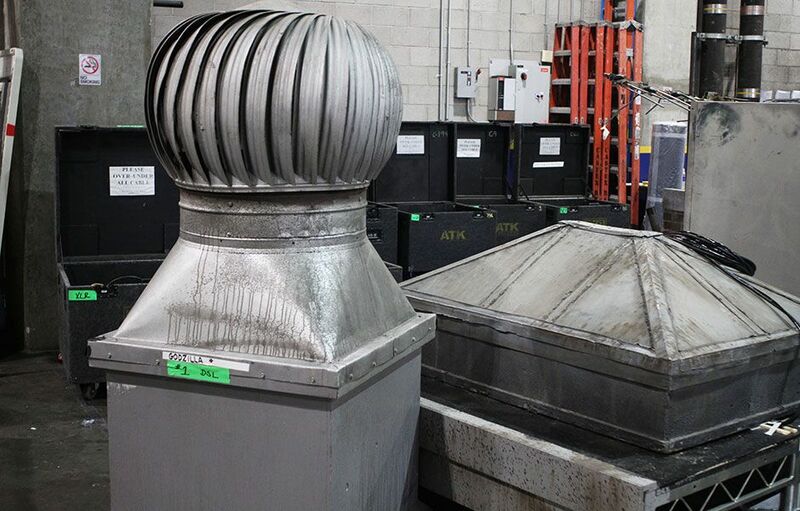 Scene elements from the 'Godzilla Moment' backstage in the props area. Check out the inside of the giant popcorn tub! It's big enough to be a New York loft apartment. During rehearsals, Conan played around with several tunes, including "Seven Nation Army" and "On The Road Again." 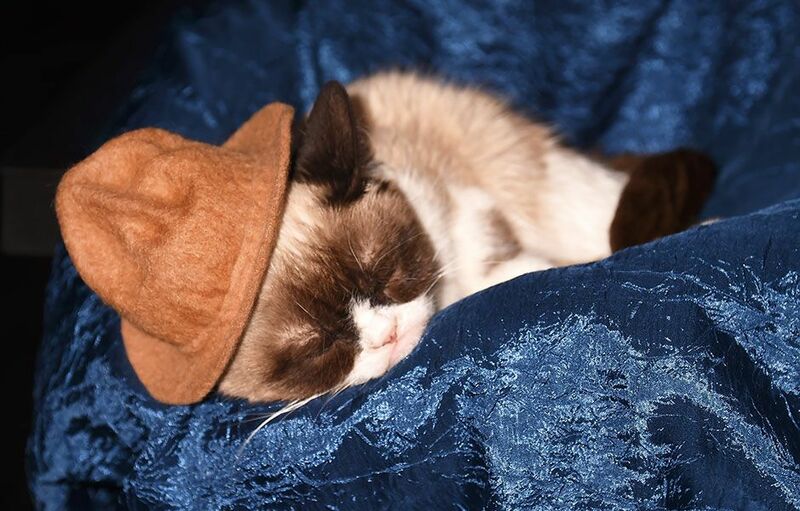 Grumpy Cat has her own Manager, ok? A Meme Manager based in LA. Also she has a Pharrell hat, so. The giant popcorn trophy is thirty feet high and weighs around 4 tons! During rehearsal, twenty one pilots' lead singer Tyler walked the mosh pit audience through the ski mask movements for their performance. 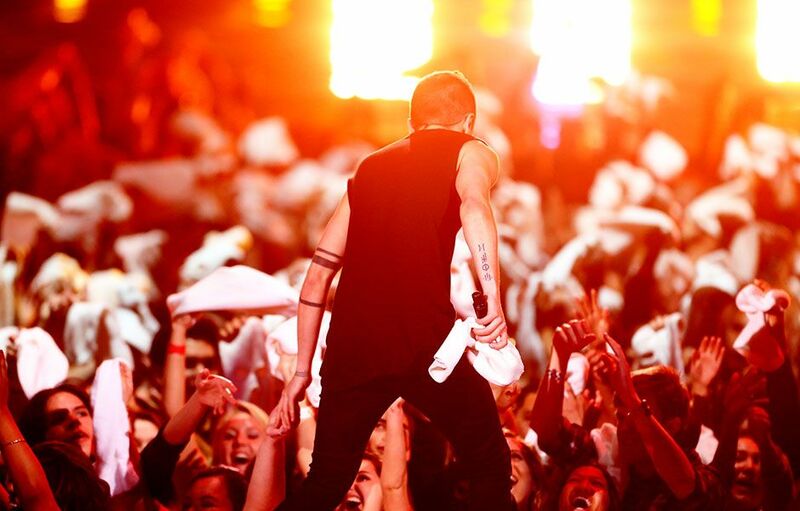 Show production ordered 700 ski masks for the mosh pit audience to wear during twenty one pilots' amazing performance. The goal was to make Conan's prosthetic muscle suit look like maaaaaaybe it could be real. Like, if you just glanced, it would make you wonder if Coco's been workin' out. 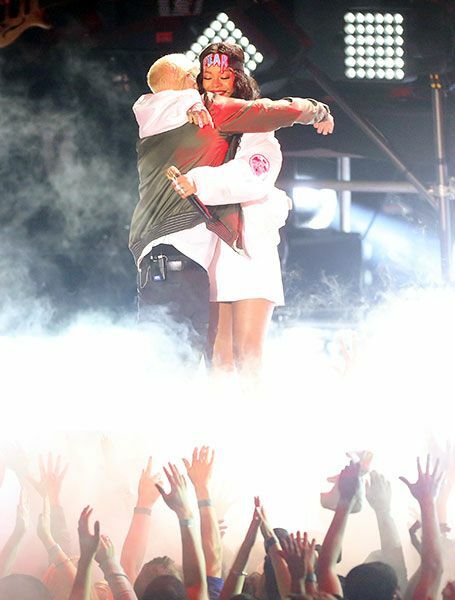 This was the first time Eminem x Rihanna had ever performed "The Monster" live together. 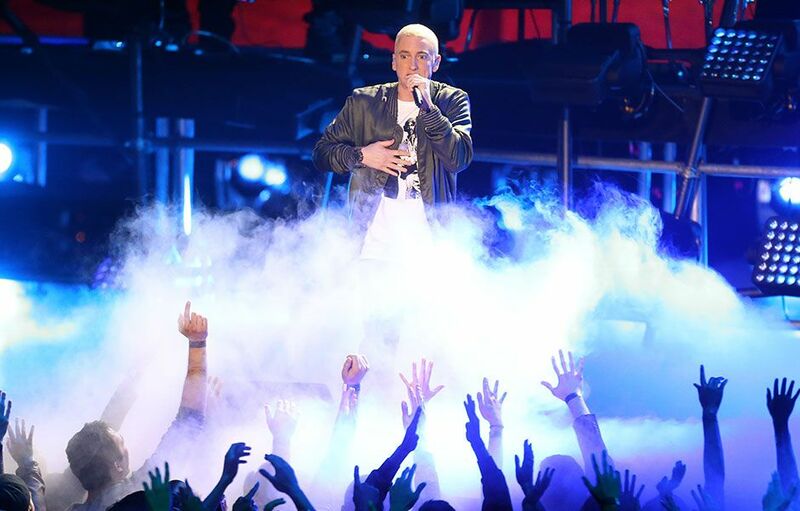 When Em & RiRi were working out their stage movements during rehearsal, Eminem said, "this isn't a love song." Meaning the way they interacted on stage should reflect the intensity of the song. 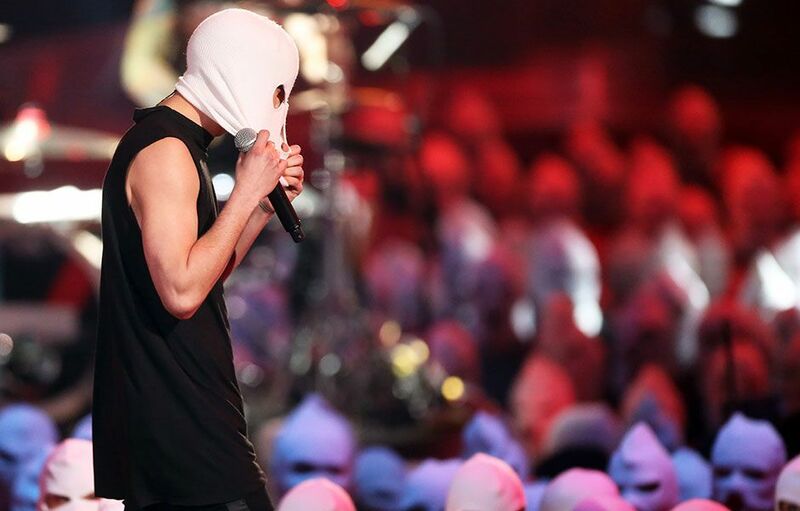 twenty one pilots had about one hundred fans brought in specially to be part of the masked audience. They felt it was super important to find a way to interact with them as part of the performance. Conan shot cameo appearances for the show opener in LA, NYC and Dallas... and he wasn't on a hiatus from his own show, either.